Delicious cool season veggies were gathered again this week. Lettuce was a special treat! This is the first lettuce harvested since late Spring. The seeds were free from Songbird Garden's Class . I planted them the weekend before Halloween. The carrots continue to do well. A few small scallions were pulled from our garden to complete this lovely salad! Oh that salad looks amazing!!! Happy Green Housing! And who wouldn't love fresh greens after looking at the sad supermarket ones!! I want a greenhouse! Cool! I put in a low row, and I'm hoping to grow all winter. We shall see how it goes with this cold spurt this week. I'd love to have some cabbage and greens over winter. I just harvested a bunch of carrots yesterday. It's still exciting :) Right now I'm just hoping for a wet winter to recover from this year. Did you know we are still almost 18" short on rainfall for the year? I've always wanted a greenhouse! 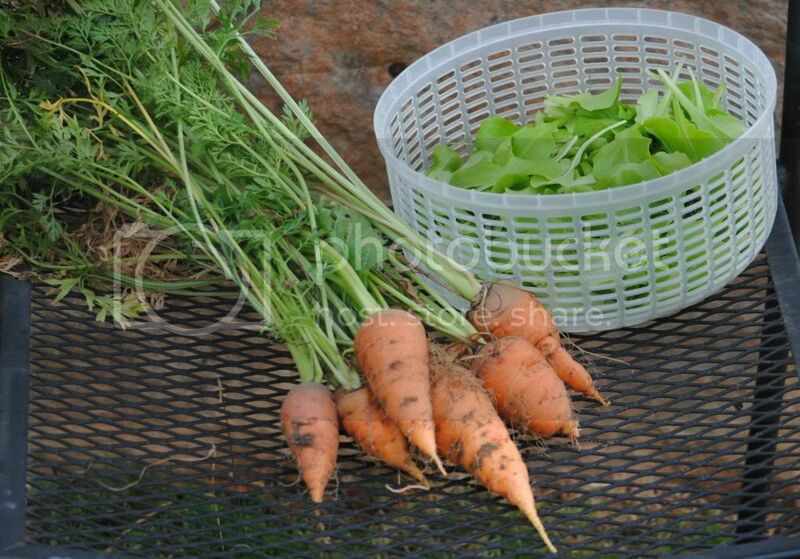 Hi Marci - I love the pictures of your homegrown carrots! I am your newest follower on GFC and hope you can visit me back at http://sarahsaturdiy.blogspot.com. I am just a teensy bit jealous that you have not one but 2 greenhouses!! And are able to enjoy veggies year round! ;) So awesome!!! Thank you so much for stopping by my blog!! Where do you live? I would love to have a salad garden all year. 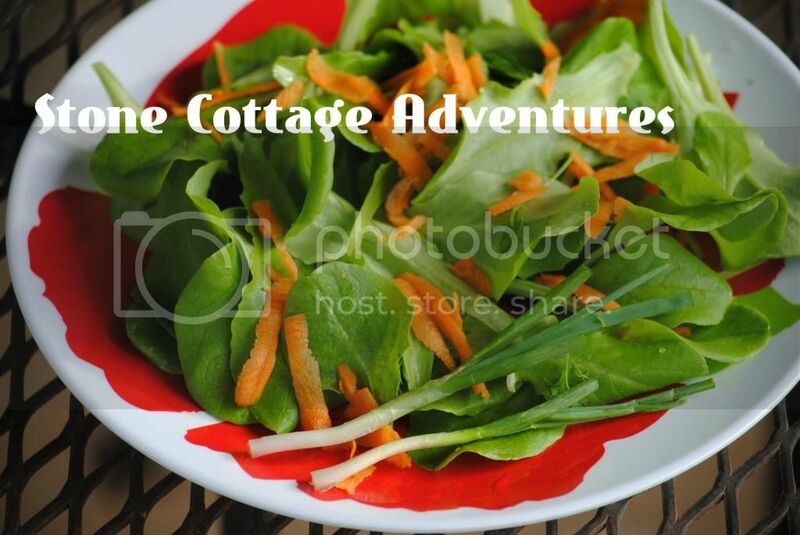 I love the idea of having homegrown salad all year long! Love the little carrots. I have serious carrot issues. They grow gorgeous tops but funky bottoms. The horses love them. I have tried different soils to but they come out the same way! I also have a greenhouse and LOVE getting things in a New England weather that I'm "not supposed to be able to" because it's so cold! I have a small space heater that only comes on when it's super cold, so I can't grow too much, but the greens and beets and broccoli and carrots are pretty happy! I can't grow spinach to save my life and that is a very serious disappointment. I've tried so many varities and places to grow it and I get NOTHING! !